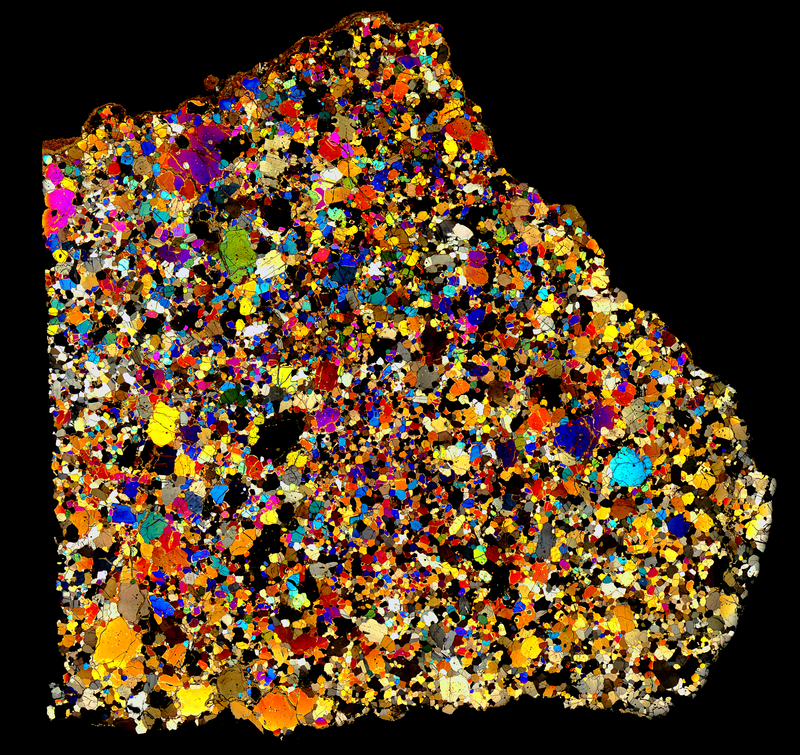 Thin section of the NWA 4801 angrite in cross polarized light. It is a plutonic igneous cumulate type angrite. Notice all the 180 degree triple junctions! Detailed information can be found at Meteorite Studies.